Let the picture speak louder. 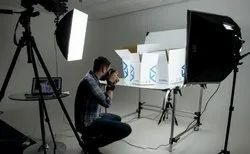 We capture every single detail of your product with flawless lightings using high-end equipment. Tempt your clients to buy your product with our outstanding mood setting. Cant witness the magnitude of your Industry outside your place? Well, we are here to capture your entire workspace with meticulous Photography. Our Expert photographers will emphasize your industry throughout the world.